Two weeks ago, I had posted about the great review my book The Labyrinthine Journey received from Literary Titan. Any writer will tell you that it is gratifying and pleasing to get reviews. It is validation that someone has spent their valuable time reading your book. As a writer, I am very grateful to those readers for their time and to those who write a review, even if they didn’t like the story. Thank you so very much! 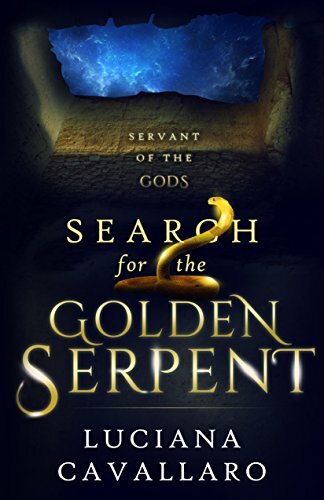 While Evan, the main character in Search for the Golden Serpent, was dumped in the middle of a shipwreck, he had no clue as to his location. That is, until he saw the ship that rescued him, and his first foray at the port of Hippo Regius. It was a bit of a culture shock, well a big one, being on a wooden ship and surrounded by bearded and well-season sailors, who spoke in a foreign language. Having no fresh water to drink, or regular showers! Cleanliness had a different outlook, as did fresh clothes. In any case, Evan was forced to adapt, though he did not do it gracefully or without a few unsavoury words and phrases. In view of this, I have put together 5 hand tips in case you get stuck in the ancient world! I’ve been contemplating a new series for my blog, and coming up short with ideas. Then I had little brainwave, I wanted to show some of my favourite images that relate to the places mentioned in my books. Some I have been to, others I haven’t travelled to as yet and are on my ever-growing bucket-list. I definitely need two life-times, one isn’t enough to do all that I’d like! The main aim of the Virtual Book Launch was to interact with my current readers and to reach out to a new potential audience. Having the event over a 24-hour period was important as I wanted to interact with both local and overseas readers. By restricting my accessibility to a particular time-frame, it would have reduced visibility and sales. As I never had done a VBL, I did not know what to expect or how it would turn out, and had nothing to compare the outcome to. I also wanted to include other Historical Fiction/Fantasy writers to show the diversity of the genre. I am reaching out for help and support in the promotion of my upcoming book launch. A number of weeks back, I wrote a blog post about the publication of my book The Labyrinthine Journey, book 2 in the Servant of the Gods series. Introducing: Luc’s Premiere Street Team! A VIPs entry to everything I publish. To introduce my new blog series, I’ve created an infographic. Thought it was time to do something different to present information. The infographic outlines Book 2 in the Servant of the Gods series and of the various places the reluctant hero Evan and his companions journey. I quite like infographics, and the easy way information is presented. Though I must admit there’s nothing easy about designing and creating an infographic, unless you use a template.